I sat across the table from my friend and nodded along as if I understood what she was talking about. In our conversation, she referenced a biblical character and that character’s unique story. Even after several decades of studying God’s Word (some years more faithfully than others), I still don’t know all there is to know about the Bible! My guess is you don’t know all there is to know, either, friends. In fact, the research paints an increasingly dire portrait of how “biblically illiterate” our nation has become, even those who claim Christ and who claim to value His Word! 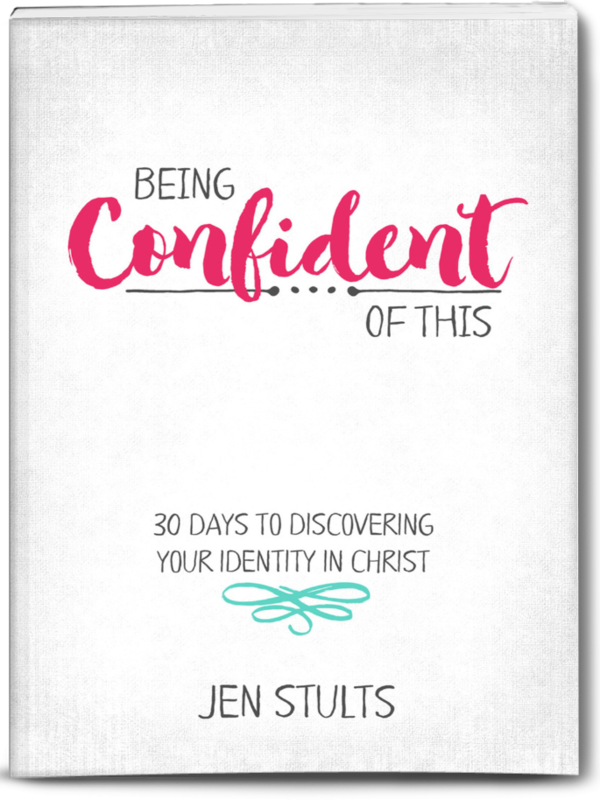 This is my heart for discipleship, friends – I want to join in the work of laying that firm foundation in the lives of women and children around me and here at Being Confident of This. I firmly believe one of the main culprits of insecure faith and lukewarm living is a lack of understanding. The best solution? Study the Bible chronologically! Through our church-planting journey, we’ve witnessed first-hand the destruction that partial-knowledge and half-truths cause when it comes to the Bible. We’ve seen women and men make poor choices in their own strength because they didn’t yet fully understand the concept of a helpless sinner, nor a Father God who places boundaries lovingly and for our benefit. We’ve talked with women and men who faithfully attended church for decades and counted themselves as part of God’s family… well… hopefully, they said. 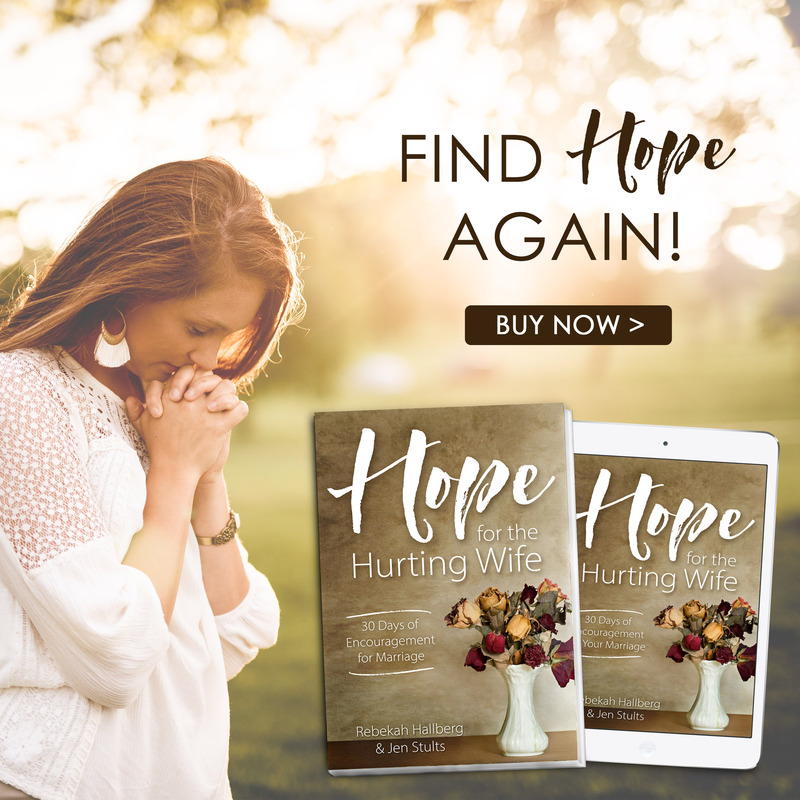 We’ve encountered our fair share of mis-conceptions and outright deceptions, and all of this has taken place in small-town, Midwest America – not all that far from the Bible belt itself! Friends, as a nation we’ve become Christian slackers, too willing to accept what others claim to be true about God’s Word instead of searching the Scriptures for ourselves, and it shows. It shows in broken marriages and families, in attempted suicides and other self-harming behaviors. It shows in “church kids” who rebel dramatically when they reach adulthood (or even sooner). It shows in current controversies like abortion, gender confusion, race issues, and a general culture of sexual immorality that is prevalent even within the church. With that in mind, we should be thinking about and discussing with our spouses, our families, our churches, how to best counteract this trend. We’ve already discussed the many benefits of studying God’s Word, but HOW should we study the Word? *This post contains affiliate links. For more information on the use of affiliate links by Being Confident of This, please visit the About page. Thank you for supporting the ministry of this site! The best way to study God’s Word is to begin at the very beginning. It makes sense, right? Creation to Christ teaching, also called chronological teaching, lays a foundation of understanding that is clearly absent in the modern church. 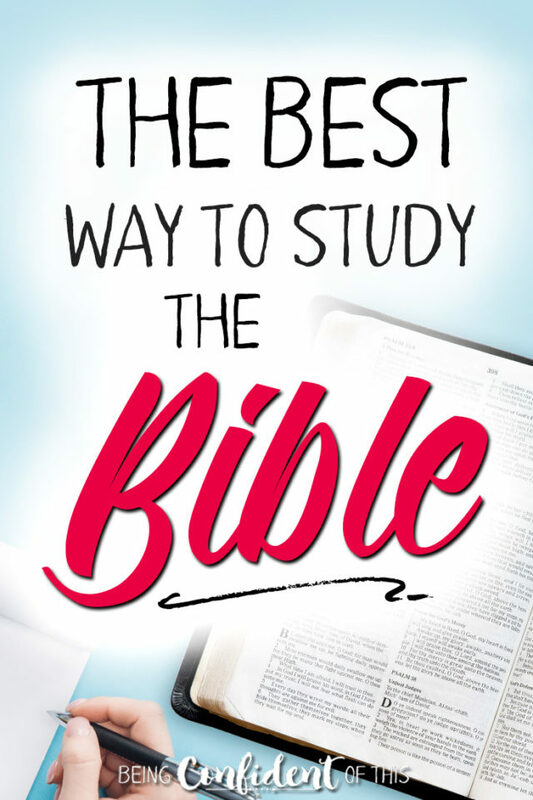 Not that other methods of study aren’t relevant or even necessary, but if you’ve never studied the Bible chronologically, as a whole, then you’re missing out! Study the Bible chronologically to build a firm foundation. Building a firm foundation is kind of a no-brainer when you think about it. You can’t teach a student Algebra overnight, right?! Even simpler concepts like multiplication require a foundation of understanding addition, which requires a foundation of understanding how numbers work on a number line, which requires understanding that numbers are symbolic of actual objects, and so forth. A deep and confident understanding of God’s Word begins with similar building blocks that make up a foundation. 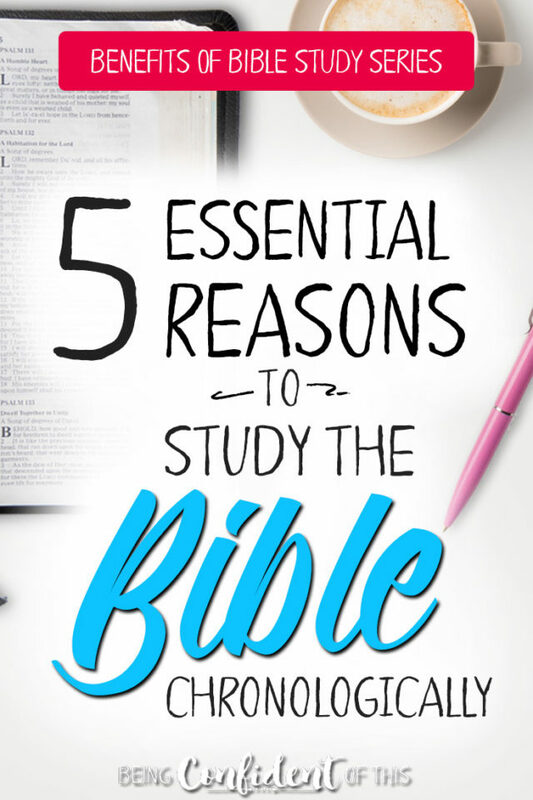 There are key concepts in the Bible we simply must understand in order to grow in our faith! Unfortunately, many modern Christians remain immature – spiritual babes, either for lack of sound biblical teaching or for lack of personal Bible study. What a shame that we take for granted the living and active Word of God (and yes, I find myself guilty on this count, too). Not only does lacking a firm foundation hinder us in our Christian growth, it can also leave us easy targets for the Enemy’s snares! For example, if we don’t fully understand the gospel and our position in Christ, then we are likely to struggle in our Christian walk. Instead of living in victory (despite hardships), we’ll live in doubt. When Christ-followers try to wrap their heads around difficult topics like predestination or the problem of suffering without first building on this firm foundation, then they are like the foolish man who built his house on the sand (Matthew 7:24-27). Hosea 4:5-6 demonstrates how a lack of knowledge leads to destruction! Let’s not be women who are easily shaken or destroyed. Instead, let’s be like the wise man who built upon the rock (Matthew 7:24-27). If you want to stand firm in your faith, you first need a foundation to stand on! 2. Study the Bible chronologically to follow God’s timeline. Any time you study history or a story, it makes sense to travel from beginning to end. If we jump in in the middle of the story, we’re likely to miss important information. We may even become confused about the point or the purpose of the story. Students of history, literature, science, music, art, and so forth understand that information is more meaningful when it’s given correct context. Therefore, when we approach the Bible, we should study it in the same manner. Jesus’ death and resurrection is much more meaningful when we take the time to understand the background leading up to it – starting at the very beginning of time. 3. Study the Bible chronologically to grasp key Gospel concepts. To understand and accept the truth of the Gospel, we must first fully understand our sin problem. While many acknowledge the problem of sin in our world, many also still cling to wrong thinking in regard to the solution. You cannot be saved if you don’t first understand your need for a Savior. In addition, without understanding the Old Testament sacrificial system, we cannot fully understand the death of Jesus – which is the center of our entire faith! Do you know what Jesus really meant when he uttered, “It is finished!” shortly before his death on the cross? In fact, there are three separate, significant truths attached to that three-word phrase. None of which I knew until I studied the Bible chronologically. Without understanding key concepts (like those above) that relate to the Gospel, we run the risk of being deceived into accepting false teaching. In this age of information and mis-information, believers who aren’t fully grounded in the Word are easy prey for wolves in sheep’s clothing! 4. Study the Bible chronologically to understand the Big Picture. Do you know why Cain’s sacrifice was described as “better than” Abel’s? Why did the Ark only have one door? Did God really ask Abraham to sacrifice Isaac when He had explicitly forbidden His people from following this pagan ritual? Did God really need to send ten plagues on Egypt instead of just freeing His people the first time? Why did God give ten commandments if He knew the Israelites wouldn’t be able to keep them? Why was Jesus born to a virgin? What’s significant about Jesus dying during Passover? All too often, we learn Bible stories in isolation from one another rather than as pieces of a larger puzzle. Many Christ-followers are familiar with the stories of Cain and Abel, Abraham and Isaac, the 10 Commandments, Jesus’ birth, and so forth (although current research shows this ability to be dwindling). However, not all believers understand the connections between these events and how they all point us to Christ! 5. Study the Bible chronologically to follow the example of Jesus. If we apply that question to discipleship, we clearly see that Jesus often went back to early scripture to help others understand that He really was the Messiah! Such is the case when He met up with the men traveling the Road to Emmaus. They were discussing recent events in Jerusalem (the crucifixion and resurrection) and trying to make sense of them. Instead of starting with His own identity, Jesus started by laying a foundation for the big picture. We see this same method of study and teaching used by the apostles throughout the book of Acts, and today it’s used successfully by overseas mission organizations, as well. In my experience, studying the Bible chronologically is the most effective method of both evangelism and Christian growth. Friends, as I type these words, I sense some urgency. We do not know how much time we have left on this Earth. We need to be secure in our faith. We also need to lead others to be saved and secure in their faith, as well. There are many misconceptions out there about who God is and what His plans for mankind are. Obviously, if we fail to correctly understand God’s character or who we are as His followers, then we fail to experience the biblical confidence befitting a daughter of the King! Do you need a firm foundation, friends? *Sources for the above information include, the TERM Seminar put on by Goodseed, Intl. and Firm Foundations: Creation to Christ as mentioned above. If you’re not a Facebook fan or email subscriber, you may have missed this announcement. 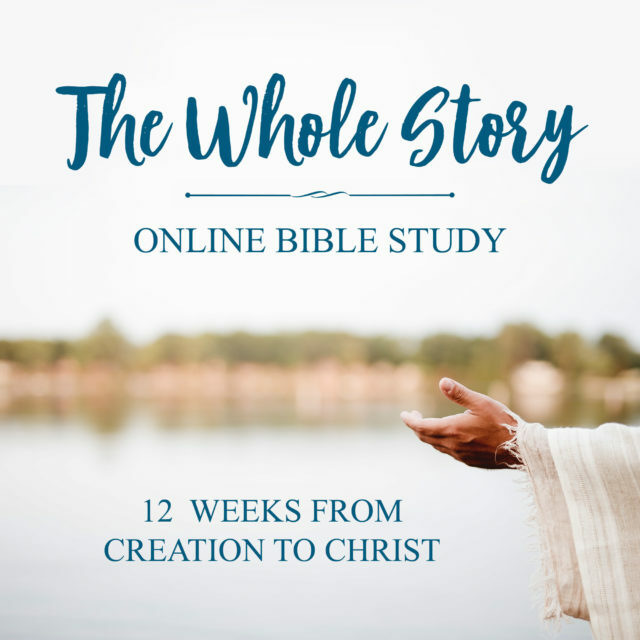 But I still have a few spots left in our first ever online Bible study – The Whole Story – a 12 week course covering the big picture message of the Bible. Yes, it will be a chronological teaching approach from Creation to Christ! If you’re interested, just click the picture below for more information. **UPDATE** Our Spring 2019 group is currently full, but you can still sign up below to join the waiting list for the next time our group opens!